Mevlut Cavusoglu visited northern Cyprus to discuss, as he said, Turkey’s next moves on the Cyprus issue and the eastern Mediterranean explorations. 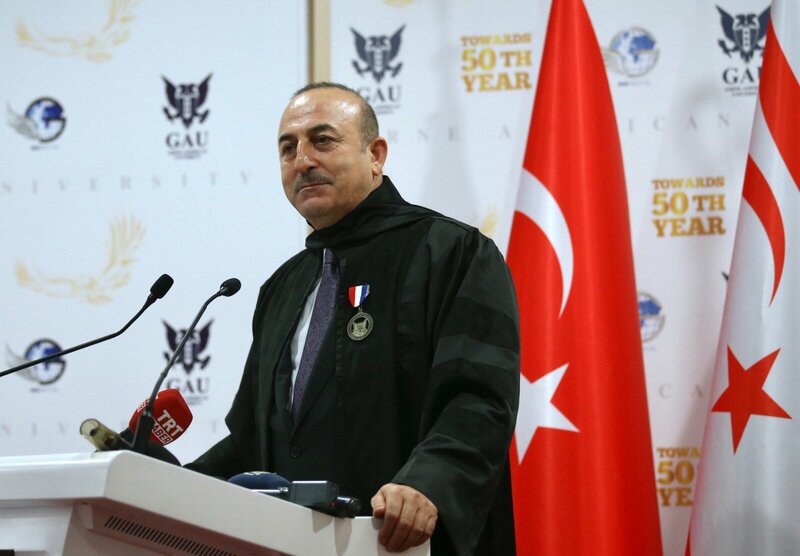 After he was awarded honourary doctor at the Girne American University, he referred to Ankara’s next plans for hydrocarbon explorations. The period of just seismic surveys has ended. The Fatih platform, currently in Alanya1, will be heading south in the months to come, and in February we will begin drilling in the areas that the ‘Turkish Republic of Northern Cypru’ has granted us, as well in our Exclusive Economic Zone”. In his speech in Erzurum, Recep Tayyip Erdogan, after arguing that there is a siege plan for Turkey, he said that behind the efforts to create fait accompli in Cyprus, the eastern Mediterranean and the Aegean Sea are these plans against Turkey.